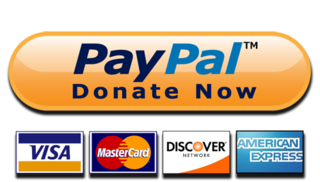 If you would like to make a tax-deductible donation via PayPal to Neighborhood Christian School, please click the “Donate” button. Thank you in advance for your support! It is through generous donations like these that we are able to continue to provide a quality education to children in our community. The Scrip program allows NCS the opportunity to earn money by selling gift cards for many of your favorite stores stores and major restaurants. These Cards are perfect for gifts and everyday shopping! Call or email us at info@neighborhoodchristian.org to place your order! Through Box Tops for Education NCS can earn money by collecting Box Tops from hundreds of participating products. Twice per year we hold a schoolwide challenge to see which class can bring in the most box tops, so start collecting! Visit boxtops4education.com to see a list of participating products and learn about all the different ways you can earn bonus Box Tops! We welcome parents and grandparents to volunteer at Neighborhood! Many volunteer opportunities exist in the classroom, during school events and more! Volunteering is a great way to lend a helping hand. If you are interested in giving your time, resources, and talents, please call or email us at info@neighborhoodchristian.org today!